Wateen has been successfully re-certified as a Cisco® Gold Partner. To earn Gold Certification, Wateen had to meet rigorous standards set forth by Cisco in networking competency, service, support, and customer satisfaction. As a Cisco Gold Certified Partner, Wateen has met the requirements for attaining the broadest range of expertise across multiple technologies by achieving Cisco advanced specializations Borderless Networking, Collaboration & Data center. In addition, Wateen has integrated Cisco Lifecycle Services into its offerings and is required to maintain high levels of customer satisfaction. Cisco Gold Certification provides Wateen with access to comprehensive sales, technical, and lifecycle services training as well as support available from Cisco. Wateen’s partnership with Cisco enables organizations to benefit from a team of certified professionals who help them develop the right technology solutions for their organizations’ ICT needs. Achieving Cisco Gold Certification is a mark of excellence and recognition of the exceptional level of services we offer to our valued customers. The new Nokia Lumia Amber software update for Windows Phone 8 is now available in Pakistan for the Nokia Lumia 920 and 820, while users of the Nokia Lumia 720, 620 and 520 will get the update by the end of September this year. The update delivers a wide range of new and improved features and apps, like Nokia Glance Screen with the standby clock and even better imaging experience for Nokia Lumia owners. 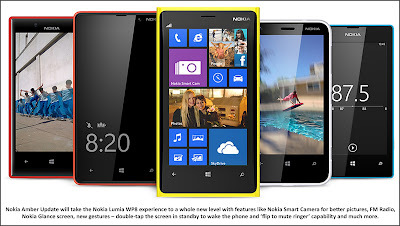 The update brings significantly improved algorithms that offer better noise reduction, colour reproduction, exposure control and autofocus to every phone across the Lumia range. 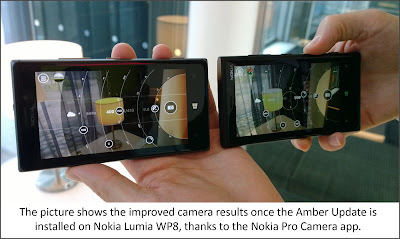 On the Nokia Lumia 920, the update allows for controls to adjust the ISO settings of the camera from 800 to 3200 for even better low light performance. This new camera app is ideal for taking pictures involving people and movement. Once the Lumia Amber is updated on the phone, then the app will be downloadable from the Windows Store. The app brings a slew of different options – use Best Shot to find the sharpest image from a series of 10; combine several shots of people in movement into one with Action Shot; heighten the appearance of speed by blurring the background with Motion Focus; create ideal group shots by choosing the best faces from a series with Change Faces, or remove unwanted objects from your pictures. 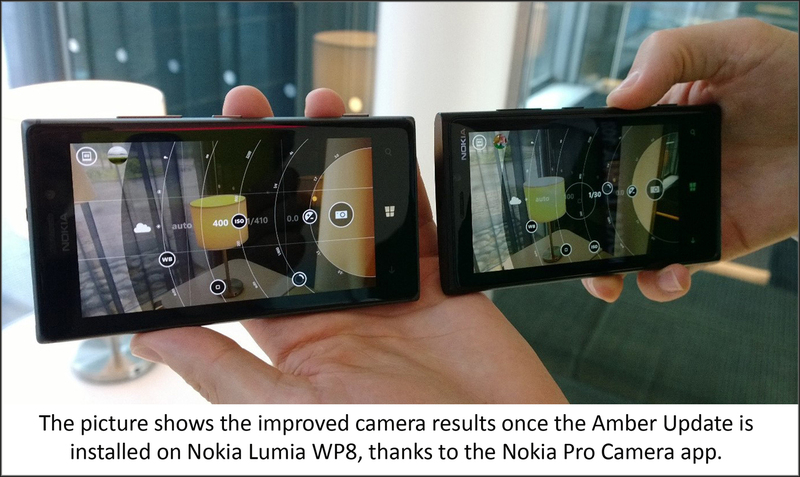 On top of the Lumia Amber update, the newly announced Nokia Pro Camera will be available for Nokia Lumia 920 and Nokia Lumia 925. Pro Camera is more than just an app; it’s a completely re-imagined user interface that lets you take full control of the imaging process and helps to unlock all your creative potential. Once users have taken great videos, they can edit them fast with the Nokia Video Trimmer app which will be available on Windows Store once the phone is updated. Other significant updates which take the user experience to a whole new level include a FM radio (not available in the Nokia Lumia 620), a Nokia Glance screen which brings a clock to the screen when the phone is inactive, along with indicators to show battery level when running on a low battery or the phone is charging, and whether your phone is set to ‘silent’(not available in the Nokia Lumia 520), a couple of new gestures – double-tap the screen in standby to wake the phone and flip-to-mute-ringer capability, the new Storage Check tool which will show how much storage is used for apps, media files and the system, and Data Sense app which will automatically update to tell how much cellular and Wi-Fi data the phone has used, giving a breakdown of which apps and features are using the most data to deliver the best performance while staying within the data limits. Additionally, The google Sync will allow the Nokia Lumia WP8 users to synchronise email, contacts, and calendar with Google and other services that support the updated protocols. 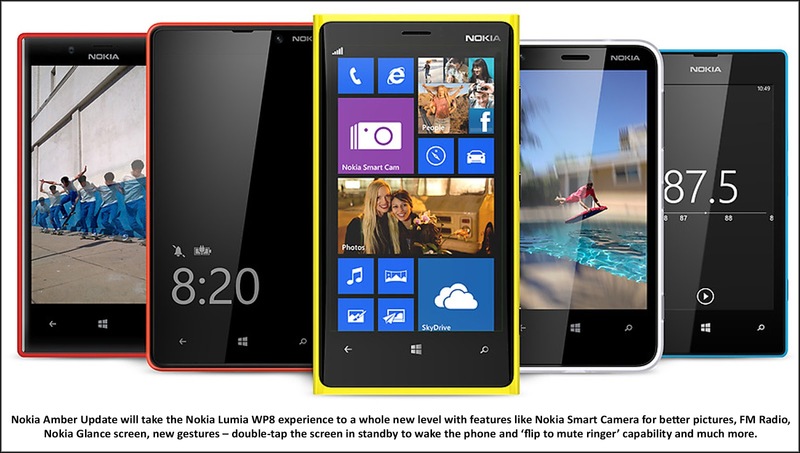 This improved update will allow Nokia Lumia WP 8 users enjoy enhanced features and options for a truly versatile and smarter smartphone experience. HBL the largest bank in Pakistan has entered into a strategic business alliance with Pakistan Rangers to provide alternate delivery solutions and channels to our brethren in Uniform. To commemorate the 66th Independence Day, HBL deployed an ATM at the Wagha Border site in Lahore on August 14, 2013 as part of the strategic business alliance between HBL and Pakistan Rangers. The ATM inauguration ceremony was attended by Brig Najeeb, Sector Commander, Sutlej Ranger, Pakistan Rangers, Punjab and Mr. Faiq Sadiq, Head – Payment Services, HBL along with the respective Rangers and HBL team members. HBL has the largest ATM network in Pakistan with more than 1000 ATM. 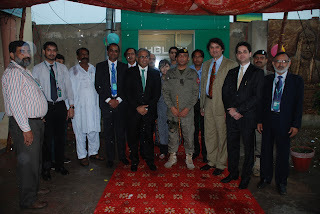 In addition HBL will also install two more ATM’s at strategic Pakistan Rangers sites. Wateen employees after tough time of last 4 year, when they had to wait for years for their bonuses, are relieved with a bonus across the board and are expecting 10 to 15 percent increment in salaries. This bonus is for all Wateen contractual and permanent employees and will be calculated at 2 gross salaries for each employee! Wateen is working on disbursing the amount before Eid. Every employee will receive a separate letter of the details regarding his disbursement. In an email, sent to all employees of Wateen, Mr. Zamindar mentioned that everyone at Wateen has worked hard to turn Wateen around and great progress has been made over the last two years with the achievements that included the attainment of leading LDI business in the country. He mentioned that company did remarkably well in the Enterprise connectivity business in the last one year through team effort from sales to engineering to finance where everyone came together to make this happen. I am pleased to inform you that we have not only met our overall business targets for 2012/2013 but exceeded them. I would like to congratulate and personally appreciate each one of you for this achievement! • To do wonders by getting the ICH through and making the Company cash flow positive. We have also become the leading LDI business for outgoing calls in Pakistan. All the mobile companies(GSM) route their international calling traffic through our network. • Come closer to breakeven in the WiMAX business because of the contributions from all teams, especially the commercial and engineering teams. • Do remarkably well in the Enterprise connectivity business in the last one year. Again, it was a team effort from sales to engineering to finance where everyone came together to make this happen. • Transform our culture to an open and dynamic one – the Transformation Team has worked very hard to bring about this culture shift in Wateen. Starting with the OPA panel meetings which created business momentum to the Values launch that took place this year, we have managed to build a culture of performance and success. We have been able to stabilize the business and develop a platform for future growth. Our performance was not consistent over the business lines but the ICH has compensated for those shortfalls and the organization at large is progressing in the right direction. We have to make sure that each business line becomes profitable and that will be our focus for 2014. Moving forward, our vision is to make Wateen into a dominant player by ironing out our inner challenges and aggressively moving into the market. There will be a greater focus on employee development and strengthening our culture by building on business success at all levels across Wateen! With this success and progress I want to share some wonderful news: your commitment and hard work will be rewarded with a board approved bonus: this bonus is for all Wateen employees and will be calculated at 2 gross salaries for each employee! We are working on disbursing the amount before Eid. You will receive a separate letter of the details regarding your disbursement. I am confident that each of you will continue to contribute to Wateen: that you will not only hold yourself accountable but also others, that you will raise the standard of your own performance and expect the same from others as well! With deep appreciation of your achievements and assurance that we will be striving for continued success in the new year, I congratulate you once again on this achievement! I wish you and your families a blessed Eid – Eid Mubarak! Its time to celebrate!